This article is found on pg. 22-25 of the July 2012 issue of the Ensign. The two major covenants God makes with man are commonly known as the Abrahamic Covenant (the Old Covenant), and the Covenant of Grace (the New Covenant). Another word for “covenant” is “testament”. This is why we have two parts to the Bible – The Old Testament, and the New Testament – they describe each of the two “covenants”. God promises Abram that he will have a great number of descendants, he will inherit a great land, and through him, the families of the earth with be blessed. This covenant (testament) is fulfilled when Abraham does become a great nation (the nation of Israel), his nation inherits the land of Canaan, and finally all the families of the earth are blessed because Jesus Christ came (through the lineage of Abraham). God gave His “covenant” people many things. One was “the law”. After God brought them out of slavery in Egypt with Moses leading them, He gave Moses the 10 Commandments for the people. God knew that the people could not keep these commandments. In fact, they were breaking most of them at the very moment God was giving them to Moses! So, God instituted the Levitical/ Aaronic Priesthood. The purpose for this priesthood was to sacrifice animals at the temple to cover the sins of the people in the sight of God. 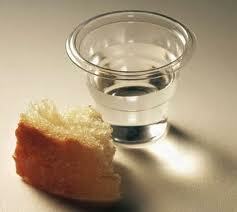 This did NOT take away the sins, only COVERED them. It was a picture of the greatest sacrifice yet to come – that of Jesus Christ to not just cover, but take away our sins. “But now He has obtained a more excellent ministry, inasmuch as He is also Mediator of a better covenant, which was established on better promises. Not according to the covenant that I made with their fathers in the day when I took them by the hand and lead them out of the land of Egypt; because they did not continue in My covenant, and I disregarded them, says the Lord. …For I will be merciful to their unrighteousness, and their sins and their lawless deeds I will remember no more’. So in this new covenant (testament), God no longer has his laws written on stone (like the 10 commanements), but puts them in the minds and hearts of those who believe in Him… and they shall be His people. This is the new covenant of grace – that our righteousness comes by our faith in Jesus Christ and His finished work on the cross, and NOT by our own works. The sign of this covenant is the Holy Spirit. Now, let’s take a look at the Ensign article to see how the covenants within the LDS Church fit in with these two covenants of the Bible. As a Mormon, I did every ordinance and entered into every covenant that was possible for a woman to have – baptism, washing/ anointing, endowments, and marriage sealing. Every covenant I made basically boiled down to keeping all the commandments (the law) and consecrating my life and blessings to the Church. Look at what the Bible says about that. Abolished… hmmm… abolished…. That means “to do away with”. And yet the LDS Church has disregarded what Christ did, and continues to burden its members with rules and laws and commandments, and unnecessary covenants. The Bible says that receiving eternal life has nothing to do with covenants or ordinances, but only our belief. “Baptism by immersion in water, performed by one having authority, is the first saving ordinance of the gospel and is necessary for an individual to become a member of The Church of Jesus Christ of Latter-day Saints. But the Mormon Church continues to claim that baptism is mandatory for eternal life, or in other words, claiming that we are saved by our works, in addition to grace. The Mormon Church leaders use this verse incorrectly. They say it means that we must be baptized by immersion in water, and also receive the Holy Ghost – both ordinances to be performed by Mormon priesthood authority. So being born of water does not mean to have a baptism in water – it means “born of the flesh”… as in… being born. When we are born, we come out of the water that we lived in for 9 months. Being born of the Spirit is what Christians refer to as being “born again”. Those who have received the saving ordinances of baptism and confirmation partake of the sacrament each week to renew those covenants. Remember – baptism and confirmation do NOT save – only Jesus saves. The ordinance of the sacrament is an opportunity each week to renew sacred covenants that allow us to be partakers of the Savior’s atoning grace with the same spiritually cleansing effect of baptism and confirmation. So this is saying that the covenants that are being renewed are what allow us to be partakers of grace. What does the Bible say allows us to be partakers of grace? LDS covenants are basically promises to keep the law – so they mix up the law with grace. The law came through Moses – but grace comes through Jesus Christ alone – not Jesus plus ordinances and covenants. The Bible clearly says that grace and works (keeping the law) cannot be combined to earn our salvation. The Aaronic Priesthood was based on being a descendant of Aaron in the tribe of Levi – NOT on personal worthiness. Also, this priesthood is made obsolete when Christ made the FINAL sacrifice for sin. The Melchizidek priesthood is only held by Jesus. He offered the final sacrifice and was the final sacrifice. He alone is our high priest now. 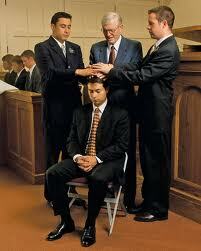 Holding the Melchizedek Priesthood is necessary for men to qualify to enter the temple. The purpose of the temple was for sinners to receive atonement for their sins. If people had to be worthy, or “qualify” to go to the temple, there would have been no point in having a temple. So the LDS temples are clearly NOT a restoration of God’s temple in the Bible. They are created and used for completely different purposes. “Incredible blessings flow from this oath and covenant to worthy men, women, and children in all the world,” taught Elder Russell M. Nelson of the Quorum of the Twelve Apostles. As a Mormon, when I really thought about this, it caused me stress! The Church always taught me that I had to be “worthy” – without clearly defining how much I had to do to achieve the point of “worthiness”. The Church also promised “incredible blessings” – with absolutely no explanation of what they were. So I believed that if I wasn’t receiving the blessings I thought I was worthy of, something was wrong, and I usually blamed myself. I figured I was not worthy enough somehow – even though I was doing everything I thought I should. I would remember sins I had committed, and figured that God hadn’t completely forgiven me yet. What a horrible burden to carry! The temple ordinance referred to as “temple marriage” or “being sealed” creates an eternal relationship between husband and wife that can last beyond death if the spouses are faithful. In Matthew chapter 22, the Sadducees were trying to stump Jesus about the resurrection by asking him a hypothetical question – If a woman’s husband dies, and she marries his brother – then that brother dies so she marries the next brother, and on and on until she has married all the brothers, whose wife will she be in the resurrection? 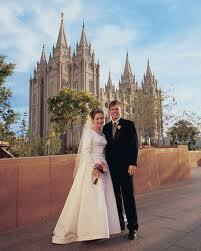 Mormons: You are also mistaken, not knowing the Scriptures – there is no marriage beyond death. So please stop putting the burden on people of being faithful to all their covenants in order to receive something that Jesus Himself said does not exist. In the July 2012 issue of the Ensign, the LDS religion FAILS this test.